Rejoice! JOHN WICK 2 Is Really Actually Happening! Some days, the world is a glorious place. Today is one of those days. 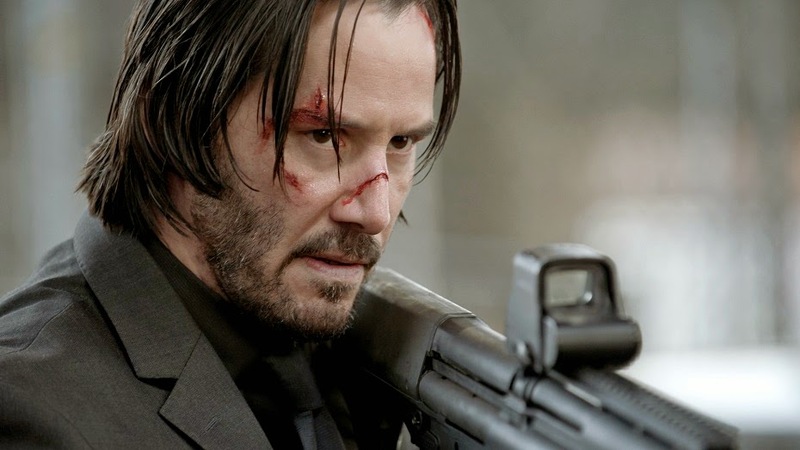 John Wick is easily one of the greatest pure action movies of the past decade, and while all the cool kids instantly agreed that this was something special, I kind of thought that it wasn't quite financially successful enough to spawn the franchise that it deserved. But fear not! The fine folks at Lionsgate have seen fit to get the band back together, re-signing Keanu Reeves, directors David Leitch and Chad Stahelski and writer Derek Kolstad for John Wick 2 which literally cannot get here fast enough. My love of John Wick is real and true. Not only am I overly fond of Keanu Reeves, but I appreciate any action movie that goes out of its way to stage impressive and exciting action sequences and purposefully shoots them in such a way as to distinguish the badassery of the stunt team. That what happens when you hire stunt coordinators as directors and we're all the better for it. I also maintain that the brutal puppy death that kicks off the film is one of the best parts, though I understand why people have some serious trouble with it. There's no way they kill another dog in the sequel, so you really have no excuse not to get for this one. If we're REALLY lucky, we'll also get that rumored Hotel Continental spin-off. I'm ALL ABOUT the continuing adventures of Ian McShane's ascot and Lance Reddick's accent.